By far one of the leading wedding theme for 2016 wedding. Rustic, eco, country. In a word: naturality. 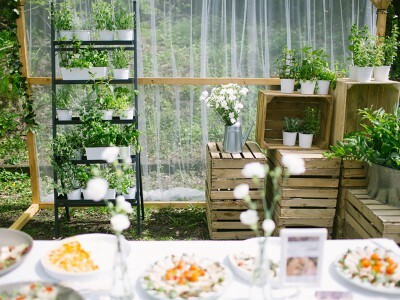 Although in USA barn weddings are no novelty, here in Poland, the trend is just getting warmed up. But no harm done – the more the better. I personally adore natural weddings. Not because they are fashionable (although that’s a nice advantage too), but because I believe that every wedding should be the expression of two lovestruck souls individuality & dreams. And I know that there is a lot of Brides tremble with fear (or discouragement) just thinking about all the dictates of wedding etiquette & hundreds of guests looking at them, expecting the traditional perfection. 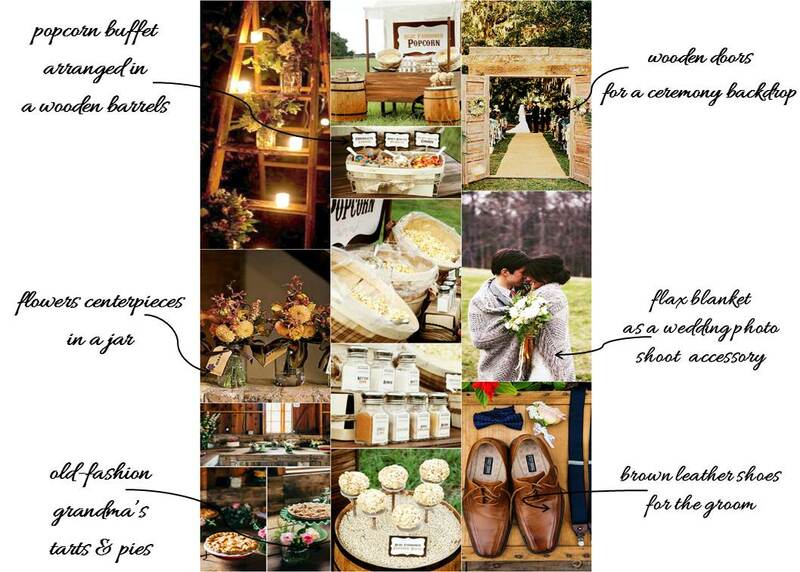 If you are one of them – there is no better choice than an intimate rustic wedding. 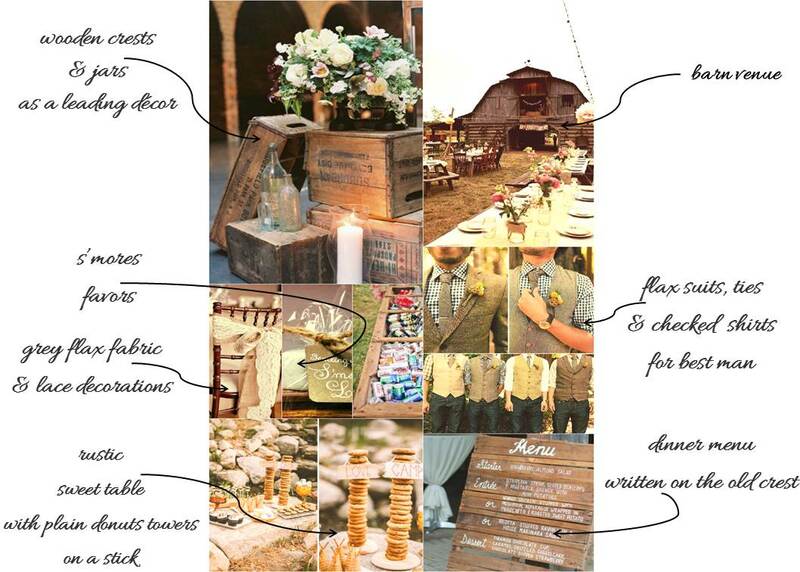 To build a theme star with the venue – all kind of barns will be perfect. You can also try old stable, wooden tavern or ranch. Our choice for leading decorations were wooden crest and jars (don’t worry, they are still on). 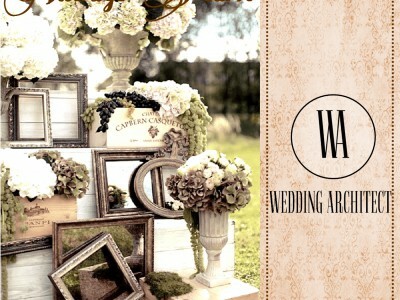 You can use them in the most unexpected way: as a menu display, sweet table or buffet stand or ceremony seats. Everywhere you desire. We love the idea of an informal buffet, rather that top shaped displays. There are endless for that too. You may try popcorn, pizza, grandma bakings or donut table. Instead of a traditional open bar – try to fill some old wheelbarrow with a lot of ice and place your favourite beers & wine in between. For the tables – freshly picked wildflowers in a jar. You can also create more opulent centerpiece by placing a couple of them on a wooden crest. As said, wood would be perfect almost for everything within the theme. 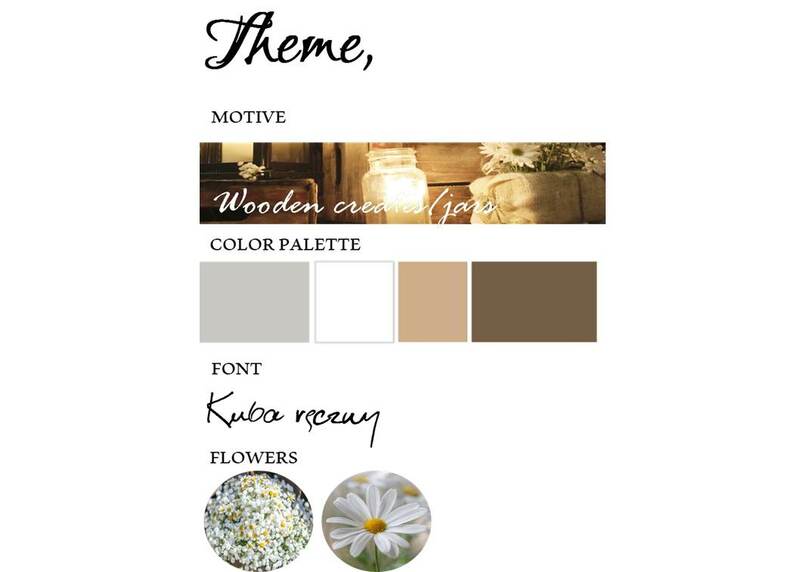 As the leading colors are all natural – cream, beige & all shades of brown – keep that in mind while picking stationary. In our opinion manila paper would be lovely. If you are are looking for more decor tips we suggest DIY details made from gray flex fabric mix with lace. For favors – hand packed s’mores! After dark, create a romantic atmosphere by lighting some tealights placed in little glass jars. As far as the outfits as concerned: for a Bride you may want t0 try something simple. Backless dress with long sleeves would be perfect! For a Groom & best man: flax suits is a must have! And the checked shirt of course. Tie or a bow tie – both will be perfect. Braces too. Looking for more? 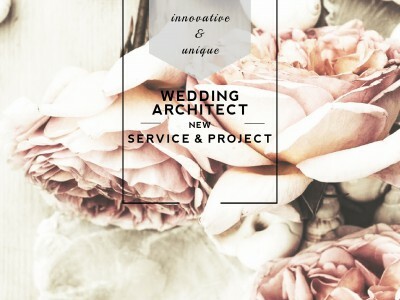 Check our latest Wedding Architect Projects for more inspiring wedding themes.